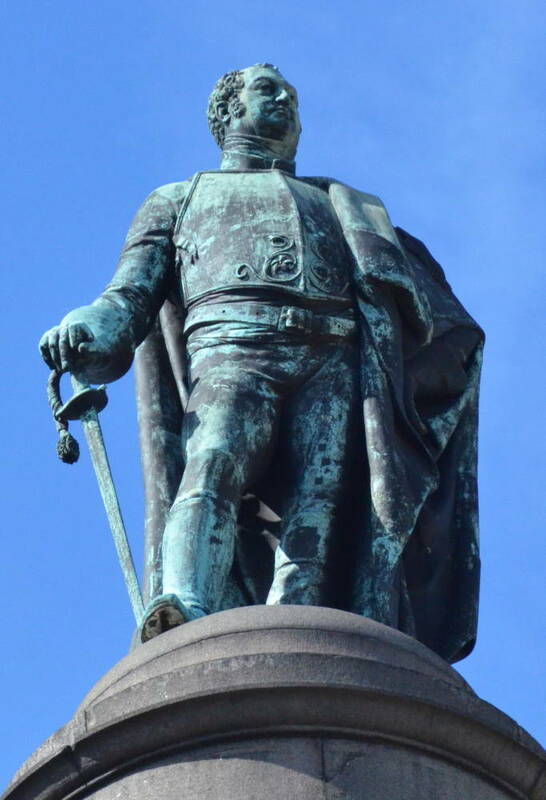 According to Bradley and Pevsner, who point out that the Duke wears his Garter robes, “The statue surmounts a column designed by B. D. Wyatt (Competition 1829-30). 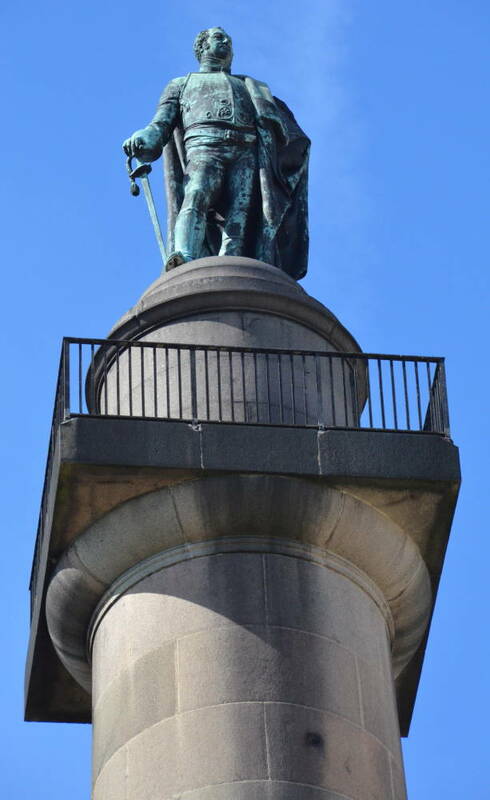 It is of the Tuscan order after Trajan's Column in Rome, and carries above its capital a square balcony and then a drum and dome (on the pattern of Wren's Monument in the City.) The stones are grey Aberdeenshire and red Peterhead granite” (440).